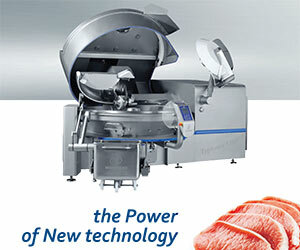 Designed for industrial injection of poultry and red meat. The components of the injection line are as follows: injector MH SAS, rotary filter FBN, dripping tunnel TO-1. Dripping tunnel TO-1 is a device to carry out two processes after injection. 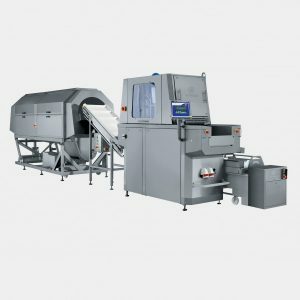 One is to separate the excess brine from the injected elements, the second is to conceal visible holes after the needles (in case of injection of poultry carcasses or poultry elements with skin). In dripping tunnel by turning the injected elements, while moving them forward, the excess brine is separated and at the same time, the holes after needles visible on the skin are concealed. In addition dripping tunnel can be used to separate free brine, continuously, from the injected muscles for production of smoked products.